Egypt Tour Package 8 Days, 7 Nights Egypt Tour Packages start to book your tour with Egypttravelcc tours to visit • The Egyptian Museum. • Pyramids of Giza & Sphinx. • Dier El-Bahari & Valley of Kings. • Luxor Temple & Karnak. • Edfu & Kom Ombo. • High Dam. • Philae & Unfinished Obelisk. When arrival you will find Egypt Tour Packages representative by Egypttravelcc tours for meet & assist service through the arrival formalities, then you will be transferred to you hotel by A/C car. Overnight at Cairo and start your All Egypt Tour Package. • Then proceed to The Sphinx the mysterious monument which have human face and lion’s body. Transfers to the train station for your overnight Sleeper train to Aswan. Dinner on the train. Breakfast on the train. Arrival, meet & assist by our representatives and transfer to the Cruise. Boarding before lunch. Lunch on board Sail to Kom Ombo. Afternoon Tea. Breakfast on board. Visit The Temple of Horus in Edfu. Cross the lock. Sail to Luxor. Afternoon Tea. Dinner on board & Galabya party. • The West Bank of Luxor where you will enjoy visiting Dier El-Bahari and Valley of Kings which is The New Kingdom (1549–1069 BC) Necropolis . Lunch on board. Afternoon Tea. Transfers to the train station for your overnight Sleeper train to Cairo. Dinner on the train. Overnight Sleeper train to Cairo. Breakfast in train. Arrival to Cairo, meet & assist by our local representatives and transfer to the hotel. • 2 Nights hotel accommodation in Cairo on B&B basis. • 2 Nights Sleeper train on Half Board basis. 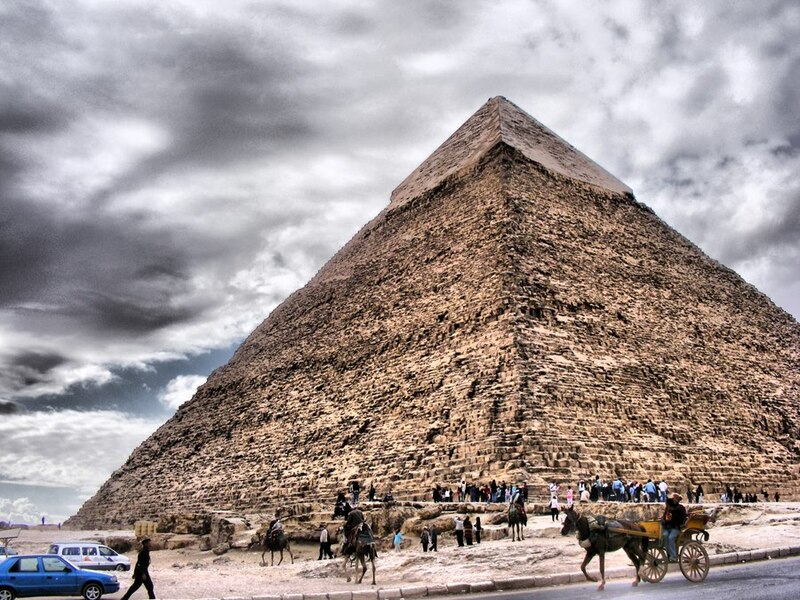 • 1 Day tour in Cairo visiting the Egyptian Museum, the Great Pyramids, and Sphinx & Khan El Khalili. • lunch during the tour sightseeing at cairo. Papyrus gallery and perfume gallery. • All transfers in Cairo, Luxor and Aswan . • All your tours and excursions are with Private A/C Car.